Josie and her friends did well enough in the comic world but when the Archie's made the successful transition to television, even gaining a Billboard top #1 hit, it paved the way for Josie and her crew to follow. Hanna-Barbera put together a real band to do the music and even tried to have Valerie removed so they could cast an all white band. There was an actual stand off over the issue but apparently the final decision was to keep the cast looking like the comic. After that, the TV series was born. Valerie is very talented. 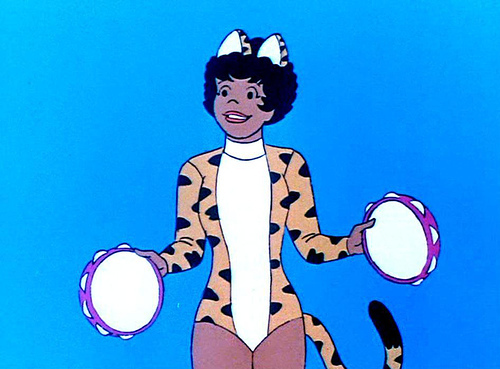 In the group, she performs back-up vocals, occasionally sings lead and plays the bass, (tambourine in the cartoon). She's the group's main song writer and actually plays multiple instruments. She's also the brains of the group. In addition to her street smarts, she's a mechanical and scientific genius. It's her skills that most often get the group out of whatever jam they're in. Josie and the Pussycats, the TV series ran for only one season, a mere 16 episodes from 1970 to 1971. In 1972 a spin off called Josie and the Pussycats in Outer Space had the cast traveling though space, trying to find their way back home but still using their musical talents. This series only lasted for one season as well (16 episodes). Despite their short seasons, they made enough of an impression to spawn a children's book, a guest appearance on the Scooby Doo Movies, and a live action motion picture in 2001. 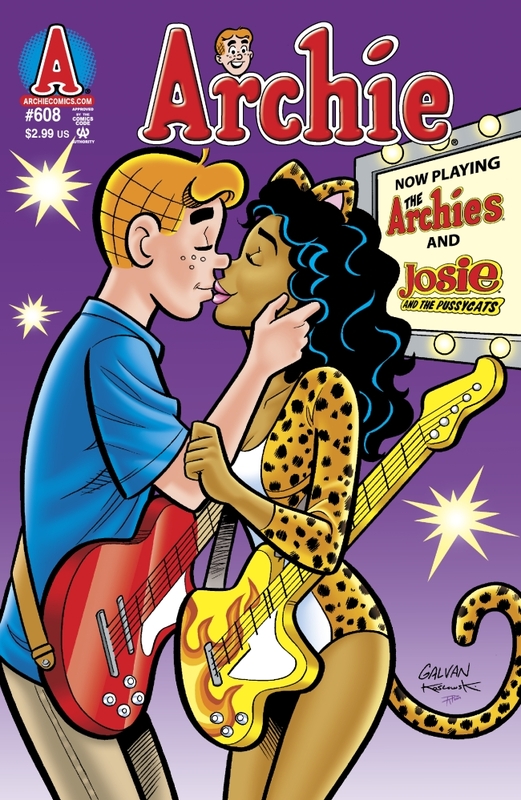 The cartoons still exist in perpetual reruns and the characters still exist in the Archie comic universe with new stories and ongoing adventures. Most recently there was a love affair between Valerie and Archie that threatened to ruin their mutual bands. This received a suprising amount of public notice in real newspapers and blogs. The drama continues. Hey! This is such an amazing post. I have to share it with my brother and sister. This is going to make them nostalgic for sure. I used to watch these shows with them when we were kids. Now, our kids watch shows by Andy Yeatman together. Time literally flies.